Evertz has touted 2018 as the “Year of IP” and at the NAB Show New York will display its Scorpion media aggregation and transport platform. With logistical (and financial) issues like the channel repack still underway (stations have until Nov to complete their move to a different wireless frequency), broadcasters need to figure out their next big move. It turns out that deciding whether (or when) to embrace 4K UHD acquisition, IP infrastructures, augmented reality graphics, cloud-based storage and artificial intelligence is not an easy decision. Some stations have made advancements in all of these areas. Still others have not, preferring not to “fix something that’s isn't broken.” Stations have been on-premise, baseband SDI, hardware-based, linear content producers for 50 years. With completion are fierce as it is today, change might be hard but urgently necessary. In the conference sessions, file sharing, artificial intelligence (AI) and Augmented Reality (AR) are sure to attract attention. That’s because stations have to figure out how to compete in a fractured content delivery universe. They know consumers have already drifted to OTT platforms and the myriad of other content available on their cell phones. Broadcasters know the key is to create new types of content or popular content delivered in innovative, audience-pleasing ways. And, these professionals recognize that viewers demand high-quality. That’s where software-defined networks come in. They can help anyone deliver a new channel across the country in as little as a week. This type of flexibility allows a content owner to try new services without a huge financial risk. Various micro-services can be obtained from CDNs and even broadcast equipment vendors themselves and, with careful planning, a new channel—for linear or mobile—is born. With the growth of managed IP networks for transport applications, broadcasters now need to support both dark fiber and managed IP networks on the transport network side and a growing multitude of IP, digital and analog signals on the media aggregation side. Typically, support for all of these technologies would require racks of standalone processing, conversion and transport equipment which is costly, difficult to maintain and difficult to operate. 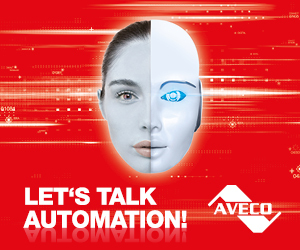 Enter IP and cloud solutions. At the NAB Show New York, Evertz Microsystems will showcase its new Scorpion Smart Media Aggregation Platform. The company says it’s a scalable, high-density media aggregation and transport platform for dark fiber and managed IP networks. The platform supports a selection of user-selectable interface mini-modules that can create a customized transport system for multiple types of delivery needs. The mini-module interfaces support all of the common signal interfaces found in broadcast facilities including 12G/3G/HD SDI, ASI, HDMI and analog video. In addition AES and MADI audio, intercom, Ethernet and serial data are supported. Using MediaCentral | UX, a cloud-based, web front end to the Avid MediaCentral platform, users can access media and work on projects from practically any device, everywhere. 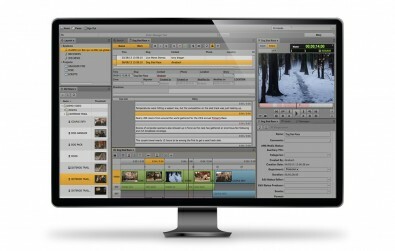 Avid will show new cloud services and solutions that extend the capabilities of its MediaCentral platform. This platform allows remote collaboration among team members and provides an easy way to deliver content across the internet. Many station groups have embraced it as their content needs become more complex. Many infrastructure vendors at the show will be addressing business-first strategies and new ways of monetizing content through innovative distribution. Imagine Communications, for example, will demonstrate its Versio Platform, a playout and media software workflow solution that includes microservices for ingest, prep and playout to automation, graphics, master control and branding. As a cloud-native, microservices-based playout solution, the Versio Platform supports baseband, IP, and hybrid IP/SDI scenarios and can be deployed on-premises or in a private or public cloud environment. 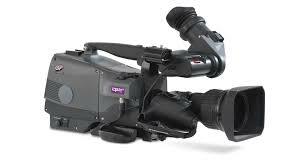 Acquiring images has always been a contentious issue with broadcasters. While many digital cinema users tout their 4K workflows and 8K image acquisition, stations are content with their existing HD production prowess. Local news does not have to be produced in 4K to get local stories across. Even those producing live sporting events are shunning 4K UHD in favor of the highest quality HD (1080p/6 fps) pictures shot in high dynamic range (HDR). 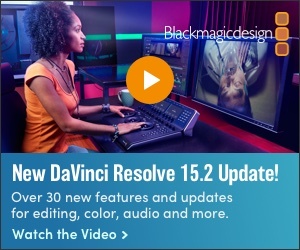 Blackmagic Design, Grass Valley, Hitachi, Ikegami, Panasonic and Sony will all show traditional broadcast-style (3 CCD chips) 4K cameras but will supplement their offerings HD cameras capability of acquiring the full color gamut that HDR shooting can bring. The LDX 86N Series camera features native 4K UHD (3840x2160) and native 3G/HD (1920x1080) image capture, using three XensiumHAWK CMOS imagers. Graphics systems from companies like ChyronHego, Vizrt and others continue to get more sophisticated, both in terms of their makeup (3D, camera tracking virtual sets) and seamless integration with live action (augmented reality). At the show both will show new camera- and motion-tracking production tools that add new production values (and virtual characters!) to any newscast. Finally, the 2018 NAB Show New York exhibit floor will be filled with products that leverage AI algorithms in one way of another. Some—like Tedial, with its latest Hyper IMF MAM software, and Dalet with its Archive MAM—make searching for media across vast libraries and storage systems faster than has ever ben possible before. Speaking of storage, a subject that every broadcaster is facing with the ever-growing demand for video across the consumer viewing landscape veteran suppliers will show their latest content production and archive storage platforms. Quantum Corp. will demonstrate its latest version of the StorNext platform. It’s designed with new enterprise capabilities that are focused on improved integration with cloud resources, enhanced data protection functionality, and better support of collaborative environments. Quantum will also showcase its support for the latest (non-volatile memory express) NVMe flash technology. The technology enables faster transfer of data between enterprise and client systems and solid-state drives over a computer's high-speed Peripheral Component Interconnect Express (PCIe) bus. Speaking of fast file transfers for both internal and external applications, companies like FileCatalyst, IBM (Aspera), Telestream and Signiant (Media Shuttle) will all show advancements to their file sharing platforms. With the rise in station group mergers, sharing content between stations is going to be a huge factor in their future success. So, this year it’s clear that show attendees will be interested in many of the newest technologies with the hope of finding relevancy and a path to success in the new world of digital media. With this attitude, the future for broadcast looks bright.